Premier Mirrors > Orpheus LED Bathroom Mirror (600mm diameter). 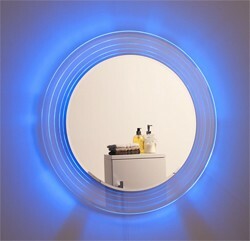 Orpheus round LED colour change bathroom mirror. 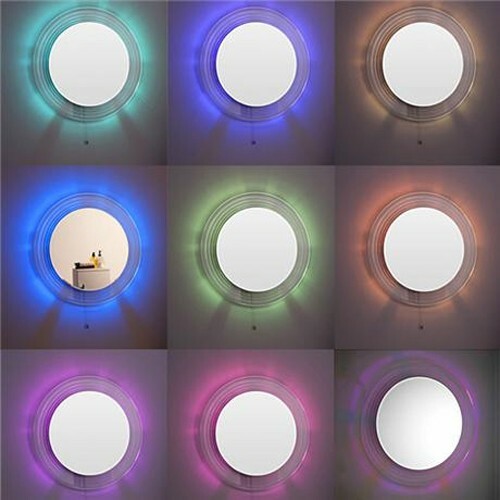 LED colour change lighting (low energy).